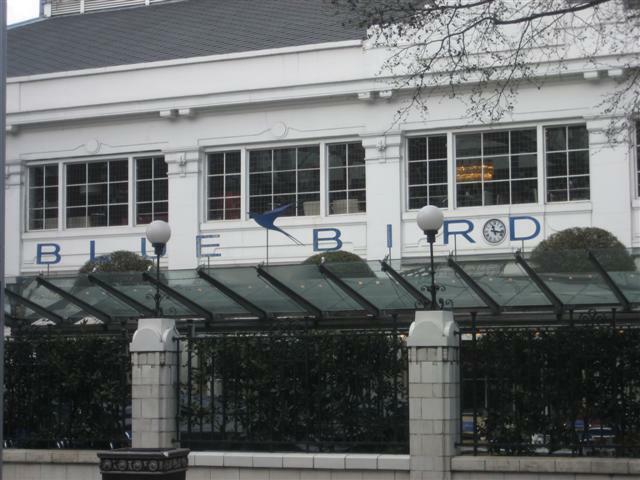 Bluebird Cafe makes up just one part of the Bluebird Courtyard, which includes the cafe, restaurant, shop and bakery. 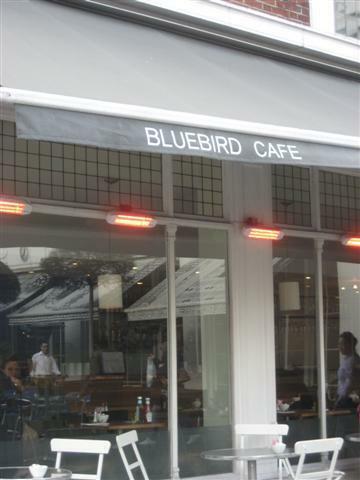 It has a lovely outdoor seating area with the heaters to stop you getting chilly. The interior has a black and white theme with its black wooden chairs and chequered floor. 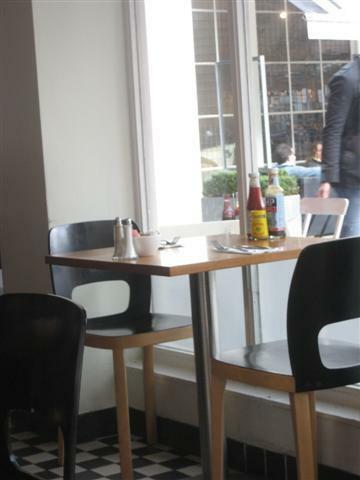 It feels like quite an informal dining environment, perfect for a Sunday brunch. The homemade tomato soup was flavoursome and thick but slightly peppery. It had basil pesto drizzled through it. The soup was served with a few slices of walnut and raisin bread. The bread was fresh and delicious. The breakfast tea was served by the pot. The teacup was quite small compared to regular sized tea cups. The staff were really friendly and we got service with a smile. The food and drink were served fairly promptly as well. The cafe is a good place to sit and watch the world go by on Kings Road. It is also nice as it at the quieter end of Kings Road. This is one of those places I could spend the entire day in. Coffee in the morning, a wander around the shop before lunch and then into the bakery to take something home for dinner. A dangerous set up but one of my favourites in Chelsea.